This is a lake in Netherlands. Right side of the image : Points contains names of the lake (red label). I performed a spatial join between the point and polygon in order that the polygon get names from the point shapefiles. Problem : From the right images Ex:Limmergat is displayed in middle but should be displayed towards the left below. Are there any other ways to display the labels as seen in left image using Arcgis or QGIS ? Was doing spatial joint a bad option ?? Click on the existing label in your lake layer. 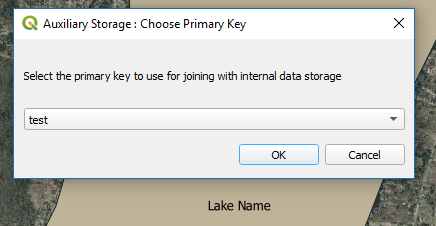 It will ask you to choose a key to link to the internal project data. Choose a relevant field. From now on, while the label moving tool is active, you can click and drag your label anywhere you want. The entity will become red and you will see the outline of your label with its anchor point as you move it around. Of course, this is all manual so for large datasets it's not very time-efficient. You can also rotate the labels with the corresponding tool. Personally, when I need to place a label very precisely, I use a separate layer, either point or line depending on the needs. For QGIS you can force the label inside the polygon (based on the centroid). The other option is create an invisible polygon that is placed inside the lake to label. Not the answer you're looking for? 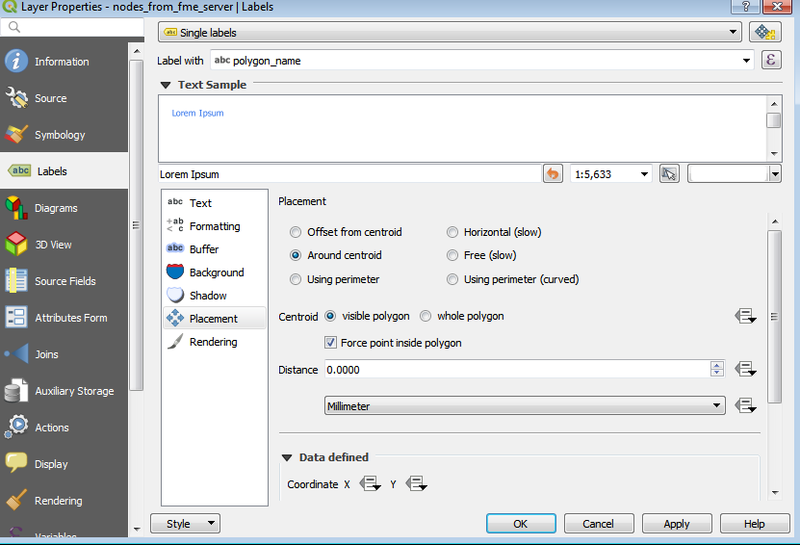 Browse other questions tagged qgis labeling lakes or ask your own question. How to position callout bubble leader using maplex? How To Order Labels from Several Layers in Mapserver? Labelling contours within polygon using QGIS?